Happy Sunday and Happy Easter! Spring in Montana can be disheartening. I am always looking for signs that warmer days are on the way: robins nesting, gophers in the fields, tulips and daffodils pushing through the snow. Some years it seems that these signs forget to return in a timely manner. But, even if I don't see them when I want to, I KNOW warmer days and summer will eventually return. Easter is the celebration of Jesus's resurrection--the reminder that when the worst possible thing happens, there is room for hope. 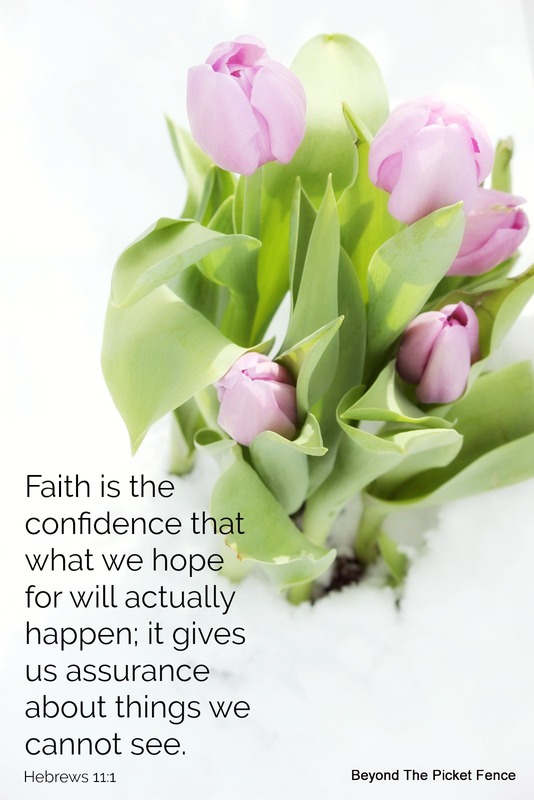 Hope looks forward, perseveres, and allows us to have faith in possibilities, even when we do not see it. This Easter let's celebrate the gift of hope. And, if you feel hopeless, hold on to what you cannot see, keep your eyes on the empty tomb, and let Jesus fill you with HIS hope. You are welcome, Happy Easter! Easter blessings to you and yours Becky. I have always had a strong faith and felt blessed by our Lord always. Even during the difficult times I knew He was there for me and was not causing anything bad to happen but giving me support to get through it all. Every day I give thanks for something, even if it just the sound of bird song, or a new blossom, or a flash of a butterfly. Thankfulness is such a great way to remember that God is always there for us!